Olive oil ranks number one as the healthiest cooking oil in the world. 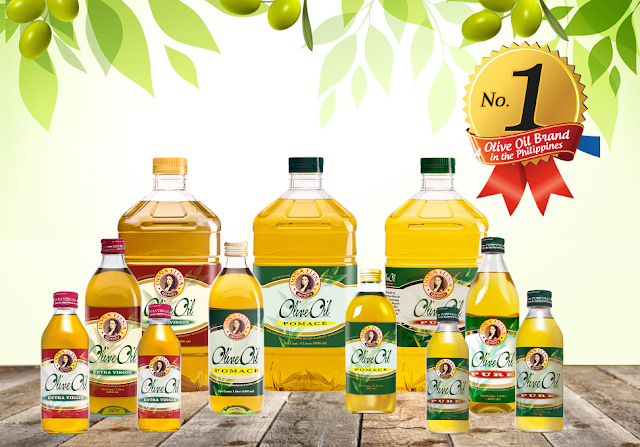 And, here in the Philippines Doña Elena Olive Oil is consistently the leading and most-preferred olive oil brand over the years. 1. The purest and most generous blend of olives. Doña Elena Olive Oils are a combination of two types of olives, hojiblanca and picual that makes it hands down a good source of high levels of good fats and antioxidants. Since each bottle contains 80% monounsaturated oleic acids that are good for the health, the powerful olive fruit duo makes every bottle of Doña Elena olive oils a powerful concoction. Much more, since Doña Elena olive oils come from Andalucia region that reigns supreme in olive oil production, consumers are assured of its highest taste and quality. 2. The health attributes and richness of vitamins. With Doña Elena Olive Oil being the only oil to be obtained naturally from a fruit, it enhances the flavor of the food making it more delicious, hence renowned chefs all over the world are known for using olive oil in their dishes. Doña Elena Olive Oil has high levels of antioxidants like polyphenols and oleic acids. It is also rich in vitamins E, K and A that helps lower bad cholesterols and acts as agent to help prevent some cardiovascular diseases. 3. It is the only brand that offers the most comprehensive sizes. Whether you’re a foodie, a chef, or who simply loves to cook, Doña Elena’s Pure, Extra Virgin, and Pomace are conveniently available in 250 ml, 500 ml, 1 L and 5L PET bottle sizes so you have all the options for every need and purpose. What makes the brand even more trustworthy is the fact that it is the number one brand, has a high turn over in supermarkets and groceries, so you are assured that each bottle you buy is exceptionally fresh. 4. It’s not as expensive as you think. Consumers are being intimidated by the stereotype of olive oil being pricey. 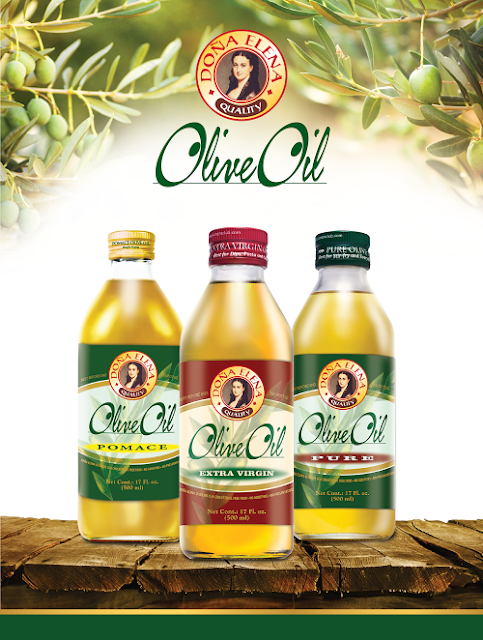 However, Doña Elena Olive Oils have been with Filipinos for over a decade now, ensuring that consumers get their olive oils without overspending their monthly budget. “If you can afford a daily cup of branded coffee once a week, why not set aside a budget for a bottle of Doña Elena Olive Oil as an investment for your health?” says Fly Ace Corporation Senior Product Manager and Category Head for Oils Zen Prudentino. 5. The versatility of olive oil in cooking. Aside from all the health attributes and benefits mentioned, Doña Elena Olive oil is incredibly versatile and can be used in a number of recipes which make it more perfect for everyday cooking. Just be sure to choose the right variety among the three Doña Elena Olive Oil to make the dish come out at its most flavorful and aromatic taste: Extra Virgin for salad dressing, bread dip, and to drizzle cooked food; Pure Olive Oil for sauté and frying; and Pomace both for frying and deep-frying. 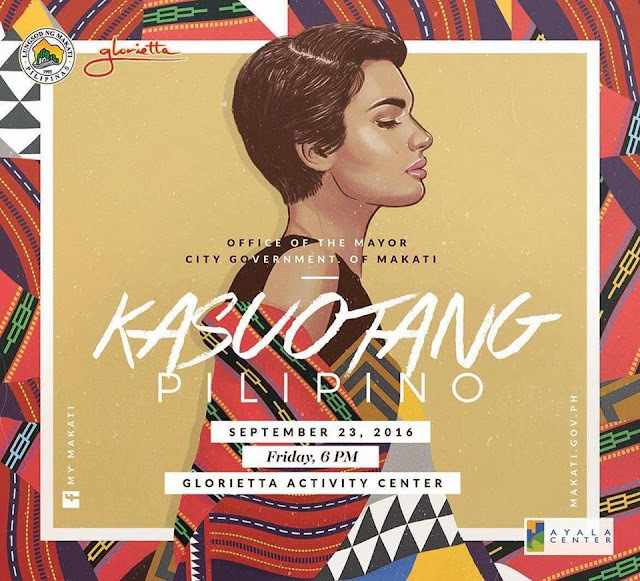 The city government of Makati through its Museum and Cultural Affairs Office (MCAO) will be staging this year’s Kasuotang Pilipino fashion show on September 23 at 6pm at the Glorietta 2 Activity Center. Makati Mayor Abby Binay expressed full support for the said event, which has become an annual event showcasing the creations of local designers to promote Filipino fashion representing the islands of Luzon, Visayas and Mindanao. “We fully support the event as it offers an opportunity for the people, especially the youth, to have a better appreciation of Filipino fashion that denotes our rich cultural heritage. At the same time, it serves as a venue for Makati-based fashion designers to share their ingenuity and distinctive style and receive the recognition they deserve,” Binay said. Meanwhile, MCAO head May Santillana in a statement said that it has become a tradition in the city to stage the event in line with the nationwide celebration of “Linggo ng Kasuotang Pilipino”. “The staging of Kasuotang Pilipino has become a much-anticipated event in Makati every September. It features the beautiful creations of talented Makati-based designers worn and modeled by city officials, senior citizens, and friends from the international community and the private sector,” Santillana said. Kasuotang Pilipino 2016 will showcase the creations of 14 designers, all Makati-based. They are Therese Andaya, Albert Andrada, Niño Angeles, Ronaldo Arnaldo, Joel Bautista, Janet Castro, Noel Crisostomo, Frankie de Leon, Luis delos Santos, Albert Figueras, Jinggo Inoncillo, Kaye Morales, Raymund Saul, and Val Taguba. For Luzon, the creations will be modelled by wives of diplomats, namely, Eloisa Klecheski, wife of the deputy chief of mission, United States Embassy; Anjana Hasper, wife of the charge d’affaires, German Embassy; Souddavone Khaykhampithoune, wife of the ambassador, Embassy of Laos; Monthip Upatising, wife of the ambassador, Royal Thai Embassy, Sylvia Tay-Van Remoortele, wife of the ambassador, Royal Belgian Embassy; Dr. Kieu Phung, wife of the ambassador, Royal Danish Embassy; and Wang Qi Jessen, wife of the ambassador, European Union Embassy. The other models for Luzon consist of Councilors Virgilio Hilario, Jr. and Concepcion Yabut; Barangay Captains Michael Infante, Fernando Bolo, Restituto Cajes and Martin John Pio Arenas; Joy Gaviola; Dr. Rosario Duque; Dwayne Samarista and Ryan Barcelo. The creations representing Visayas will be modelled by Rose Sibug, Anita Bay, Elizabeth Faculin, Milagros Misa-Gueco, Leilani Canullas, Carmen Hachero, Lourdes Lacson, Zenaida Lumang, Marsha Santos, Ana Montinola, Peachy Sacasas-Alimurong (1981 Bb. Pilipinas International), Simplico Ramon Misa, Ernesto Rodriguez, Ferdinand Quirante, Enrique Villamin, and Pascual Eslava For Mindanao, creations by Ben Farrales will be modelled by Councilor Nemesio Yabut, Jr.; Barangay Captains Benhur Cruz and Jeline Olfato; Kagawads Saira Margarita Nepomuceno and Susannah Patricia Infante; Olive Caray, Geraldine dela Rosa, Dr. Dalisay Brawner, Vissia Marie Aldon, Dr. Amelia Paje, Engr. Reynaldo Paredes, Jimmy Bacamante, and Rolando Medina. Kasuotang Pilipino is organized by MCAO, in collaboration with the Liga ng mga Barangay and Ayala Malls. Last year, some 12 Makati-based designers featured their signature styles at Kasuotang Pilipino through traditional costumes in Luzon, Visayas and Mindanao. In 2000, the first Kasuotang Pilipino Fashion Show was formally staged in Makati City, in line with Proclamation No. 241 that was signed by former president Fidel V. Ramos in 1993 mandating the observance of the “Linggo ng Kasuotang Pilipino” every September. I am a self confessed chocoholic. I crave for chocolates especially during my red days as it never fail to make me feel better. Chocolate bars, candies or drinks you name it! 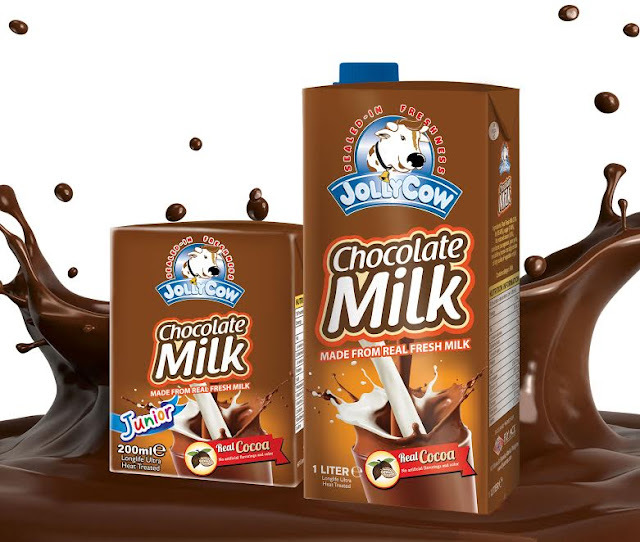 So chocolate lovers like me rejoiced as Jolly Cow introduces its newest chocolate milk that’s made from 100% Pure Cow’s Milk and real cocoa with less sugar. It's the perfect combination of creamylicious and chocolicious goodness of milk and cocoa in one. What’s more, its chocoholic taste is only the beginning, all Jolly Cow milk only comes from “happy cows” that were raised and bred in cow friendly farms in Europe, so you can look forward to enjoying tastier, healthier, and creamylicious milk quality in every pack. “The introduction of this new variant of Jolly Cow continues to support the expansion of the product line in the country, and reinforces our commitment to bring the best food and beverages of the world to the Filipinos. Jolly Cow Chocolate Milk is different from other chocolate drinks, as it only uses 100% Pure Cow’s Milk, Cocoa, a little bit of sugar, and no vegetable fat added. It is totally chocolicious! 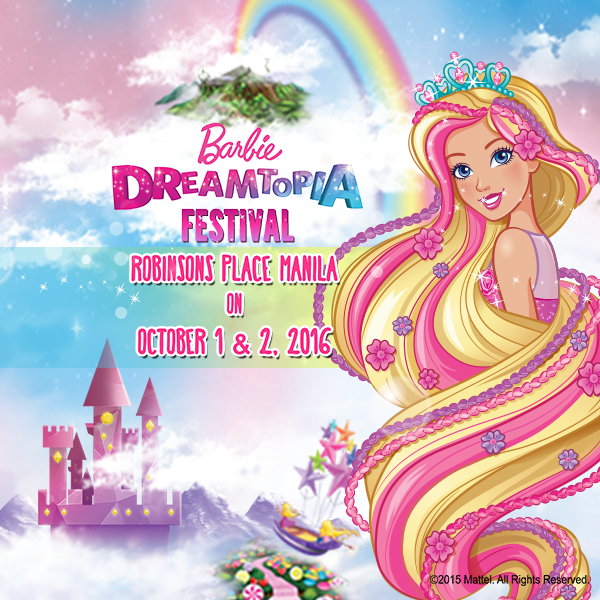 All our consumers will surely love it!” said Fly Ace Corporation General Manager, Ramon Daez. Conveniently available nationwide in one liter and 200 ml sizes, Jolly Cow Chocolate Milk is best enjoyed chilled or as a delicious ingredient to liven up milkshakes and smoothies. Since it doesn’t use vegetable fats to give it full taste, it is no surprise that both kids and young at hearts find it an irresistible source of their daily calcium and a source of energy. Perfect for dunking with your favorite bread, it is also the ultimate accompaniment for your favorite savory snacks, and is a healthier alternative for the sweet-toothed. Jolly Cow Chocolate Milk tastes so good! 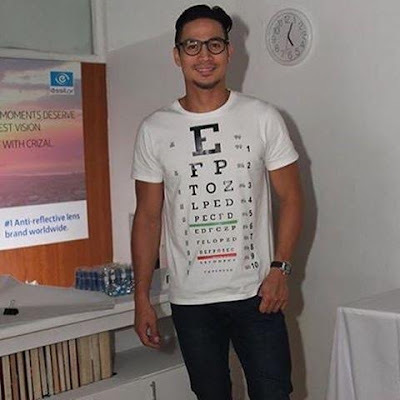 What would you do if in the middle of your routine eye check-up, you ended up face-to- face with Philippine leading man Piolo Pascual? This new video is part of the brand’s campaign to encourage patients and customers alike to stay present in every experience of your life – or, better yet, to create your own precious moments with the clear vision that only Crizal® can provide! Crizal® lenses are available at leading optical shops and through eye care professionals nationwide. For more information, visit Essilor’s website at www.essilor.com.ph. 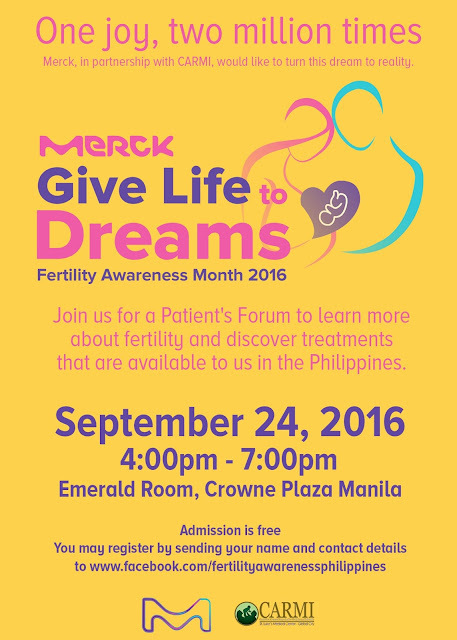 In celebration 2016 Fertility Awareness Month, Merck Philippines, the local arm of the world’s oldest pharmaceutical and chemical company, joined forces with St. Luke’s Medical Center – Global City for a public information project that promotes awareness on infertility, as well as the different medical solutions that can give life to the dreams of Filipino couples. This project coincides with the fifth year of St. Luke’s flagship Center for Advanced Reproductive Medicine and Infertility (CARMI). Aside from socio-cultural factors mentioned by Dr. Novero, a couple’s fertility can also be affected by issues in the female and male reproductive systems, as well as various medical conditions that can affect the quality of the egg and sperm cells. One of the medical solutions that childless Filipino couples can explore is Assisted Reproductive Technology (ART), which is an umbrella term that refers to in-vitro fertilization (IVF) and its variants. This special fertility treatment procedure stimulates multiple ovarian follicles and facilitates egg cell retrieval. During the course of treatment, embryos will be formed outside of the female patient’s body—and once the “cultures” have formed successfully, they will be transferred to the patient’s uterus. ART is recommended for patients suffering from blocked fallopian tubes, severe sperm deficits, unexplained infertility, mild endometriosis, and ovulation disorders, among others. Though not unheard of for Filipinos, IVF is often seen as risky, needlessly expensive, exclusive to those who can get the procedure done abroad, and worse, ineffective. Dr. Novero explained that ART has made significant improvement in efficiency over the years. Dr. Novero mentioned that the success rate of the procedure has also recently seen a significant rise—today, over six million children are born all over the world after their parents have undergone an IVF procedure. To know more about infertility and IVF in the Philippines, Merck Philippines will be holding a seminar on the science and possibilities of IVF on September 24 at the Crowne Plaza Hotel in Ortigas. James Reid recently joined the ranks of Anne Curtis and Derek Ramsey as endorser of Century Tuna, the country’s number one tuna. He headlines Century Tuna's latest campaign, where he appears in a series of sizzling television commercials: the first, a TV spot focusing on metamorphosis that sent his fans in a frenzy and created a sensation; the second, which is presently airing, revolves around the idea of commitment and loyalty. Clearly, James Reid is on a winning streak and his steady career path is one that is marked by a succession of winning moves. Presently at his fittest—sculpted abs, toned muscles, firm biceps—which can be attributed to a rigorous fitness regimen and a proper diet consisting of good protein that Century Tuna can provide. Becoming part of the Century Tuna family has certainly paid off for the young hunk. 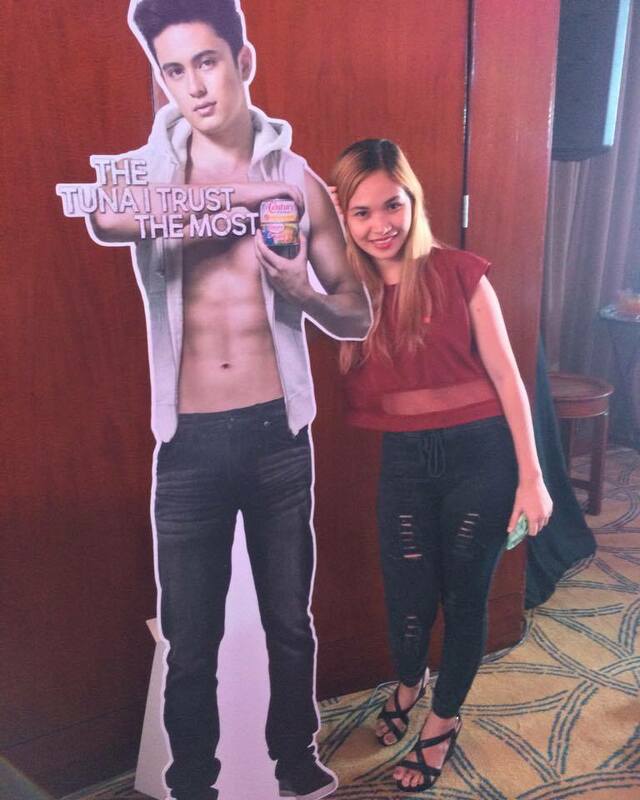 And last September 6, 2016 at Makati Shangri-La, Century Tuna presented James Reid to the media. James shared his winning moves in his newest television commercial for country's number one tuna. Century Tuna couldn’t be happier for having James in its roster of celebrity endorsers. From the very beginning, they already saw a champion in him. “His story is truly inspiring. It speaks of transformation, the relentless desire to improve oneself. 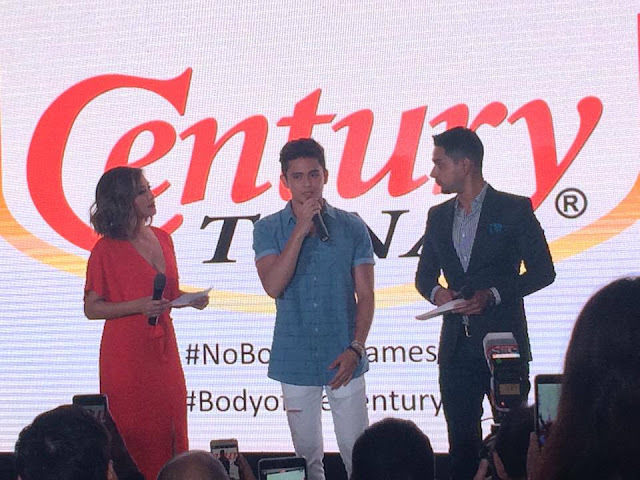 It’s a winning formula that brings many positive lessons for everyone: perseverance, keeping the faith, while staying humble and true to yourself—qualities that make James a true role model.” said Greg Banzon, Century Tuna General Manager. Meanwhile, for James, it’s really all about trust. “I liken it to a championship game. If you want to win, you naturally want to surround yourself with a teammate you can put your total faith into. 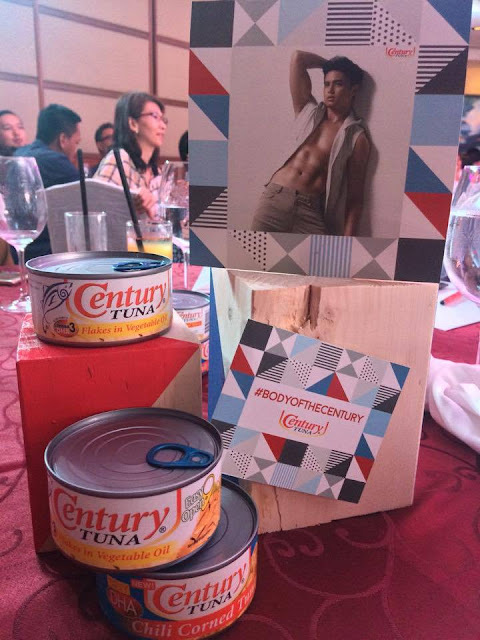 That to me is Century Tuna, and I can’t think of any other name that I’d trust to keep my body fit.” he revealed. I didn't get the chance to have my photo taken with him so his standee will do. lol Please spare me from bashes haha. With bated breath, we all watch as James continues to transform—from a teen heartthrob to a more mature actor with the determination, the attitude and the body to conquer and win in the challenging world of show business. One of the must have instruments of a guitarist is an amplifier for a superb sound especially during performance. 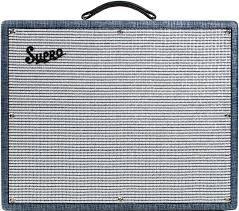 If you are in need of one you should check out Supro Thunderbolt amplifier. It has super simple control but has plenty of versatility. It has a three-way selector switch on the front panel which allows you to switch from the original 35-Watt “Class A” Cathode bias sound as well as beefy 45-Watt and 60-Watt Grid bias modes for additional headroom and tonal variation. Supro thunderbolt will surely give you a luxurious guitar experience! When I hear the word guitar my older brother pops in my mind. He loves playing the guitar and is good with it. Actually my whole family loves music, each of us can play at least one instrument except me. That’s a sad reality. Well if you’re also a music lover and passionate with playing musical instruments then you should check out guitar center 14 street. They are the home to the world’s largest selection of popular musical instrument offering great deals. They have over 250 stores across United States, where they offer same day pick up. Don’t worry because they also ship worldwide. Make sure to check them out! 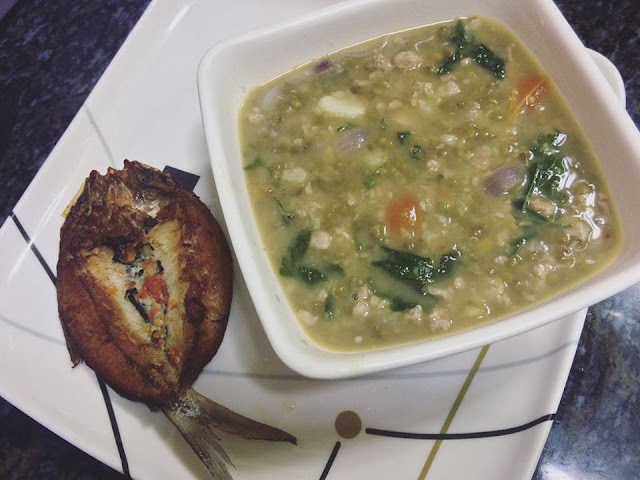 I grew up with my mom's home-cooked meals and back in our province, green veggies and fresh fish are staples because we can plant our own veggies in the backyard and we live just near the sea, I was taught by my parents to eat what's being served on the table and perhaps this is the reason why I'm not a picky eater. In fact I love to eat but aside from eating I also love to cook and cooking is one of the skills I was able to hone when I became a mom. Cooking for me is one of the many ways to show my love for my family. I get satisfaction whenever I see my kids enjoying even the simplest of home-cooked meals that I prepare. They are not picky eaters as well so I don't have any problems feeding them. They eat almost anything I eat. I love seafood and i'm glad that they feel the same way, however Jaear finds it hard to eat fish because of its bones. He's also hesitant to feed fish to the kids because he's afraid they might ingest the fish bones so as much as possible he doesn't want to eat fish. But fish and other seafood is part of a balanced meal and it helps us easily achieve a healthy and fit lifestyle because it has less calories and fat compared to chicken, pork, and beef. It provides various health benefits as well due to the vitamins and minerals it contains such as iron, zinc, iodine, vitamin B1, folic acid, and especially the omega-3 fatty acids that is known to prevent heart diseases. 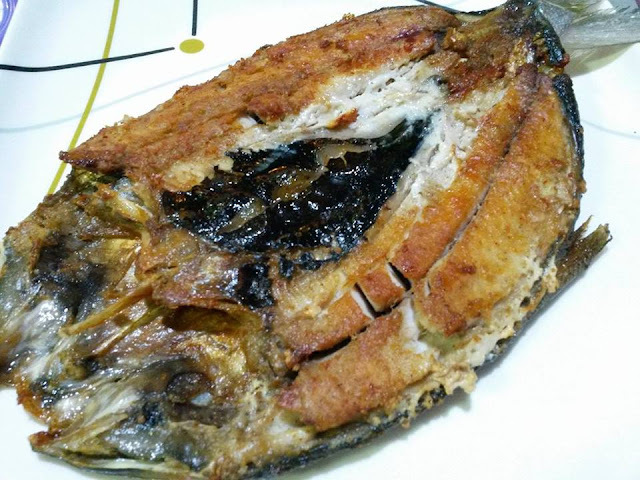 I definitely don't want to skip fish from our menu that's why whenever I go to the market I buy boneless fish instead and boneless bangus is one of our favorites. 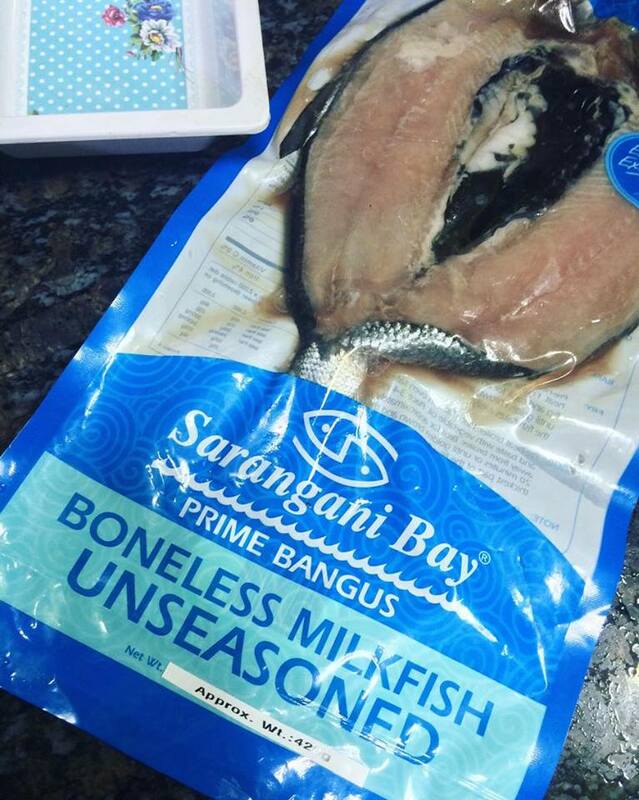 Bangus or Milkfish is Philippines' National Fish, it has a unique delicious taste and is known for being bony but that's not a problem anymore because it's available boneless. 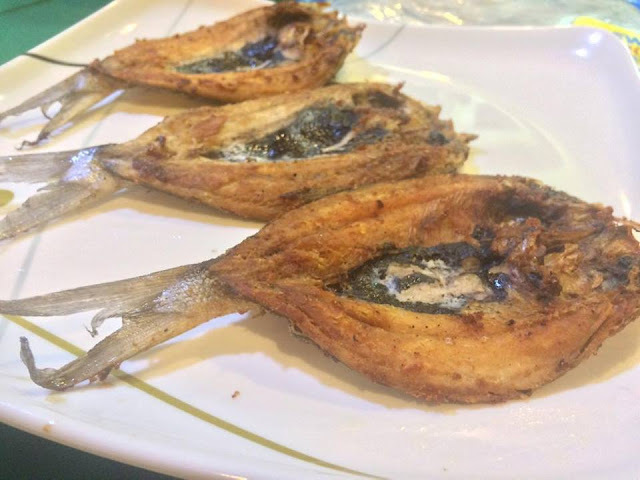 Seafood has always been a favorite to many especially to us Filipinos because we have an abundant supply in the agricultural and fisheries sector. But now it's difficult to find the fresh quality seafood due to issues of marine pollution and illegal fishing. While it's true that fresh fish is ideal, however it’s not true that it is always better than frozen fish. Seafood should be frozen as soon as possible after being caught but cost and logistics make this difficult for many fishermen. Often fresh fish is NOT fresh as it may have sat on insufficient ice for days before reaching the market. So fresh frozen fish is the best alternative but we have to select brands sold by established seafood processors with a reputation for consistently excellent quality. And here in the Philippines, the most trusted and largest processor of premium quality bangus and other processed seafood products is Sarangani Bay. It is also the country’s largest exporter of the said products. 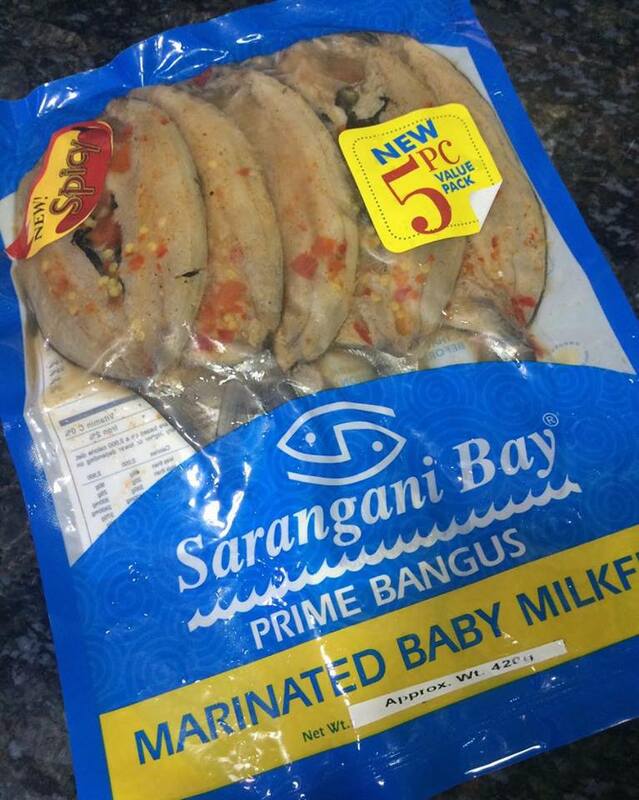 Synonymous to the brand name is Sarangani Bay, the marine sanctuary of the premium quality bangus and is located at Southern Mindanao. The clean and fresh water of Sarangani Bay is bred by the Alsons Aquaculture Corporation—the only integrated farm to market fish processing operations in the country. 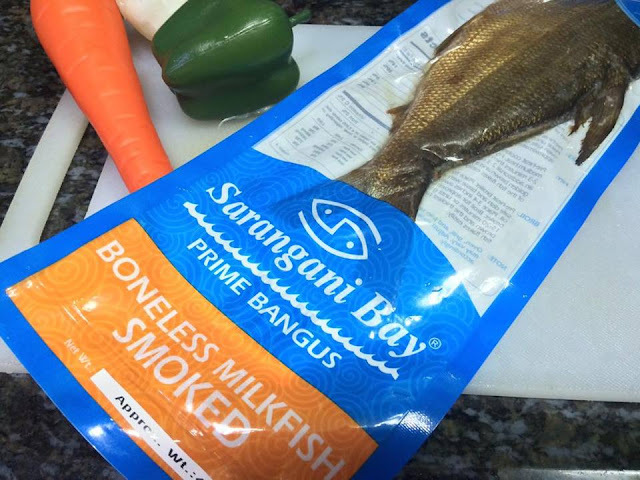 Commercially packaged frozen fish can taste as good as fresh caught harvests because they are carefully “fresh frozen” within a very short time after being caught, locking in freshness and flavor. Not only is Sarangani Bay the most trusted and largest in the country, it is also a favorite overseas like United States, Canada, Guam, Australia, China and Middle East. 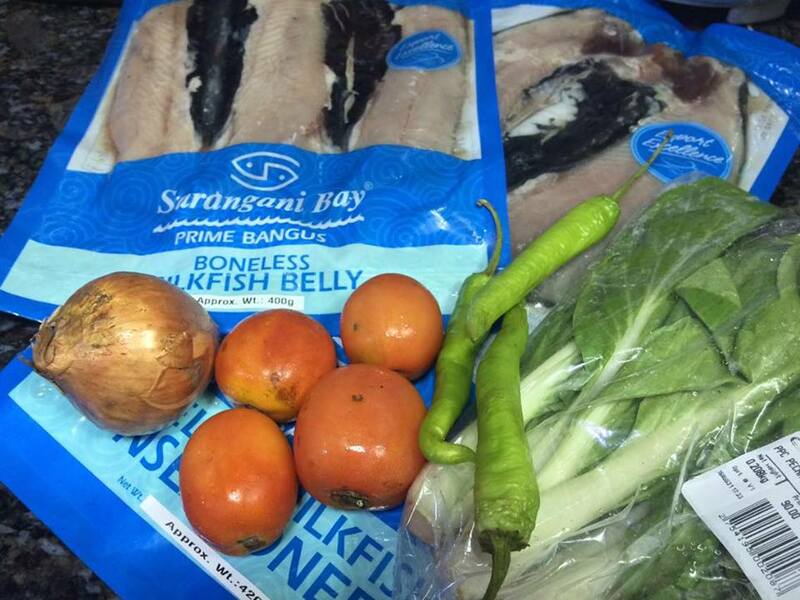 So how does Sarangani Bay maintains the freshness of the fish products? 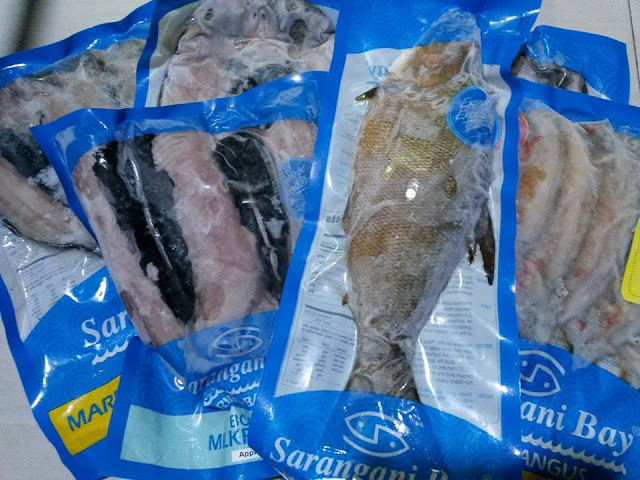 Sarangani Bay practices the cold chain management that is critical in maintaining the premium quality they offer compared to other fish processors. 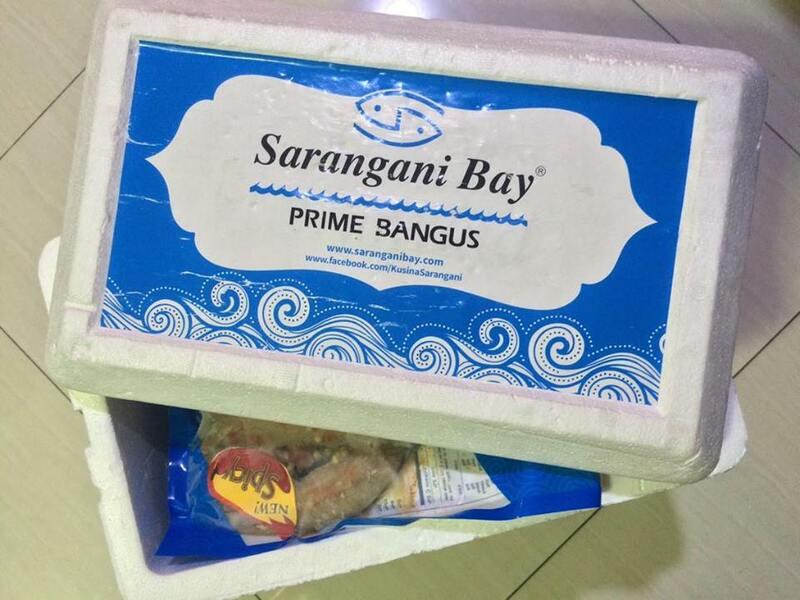 Last month, a box of Sarangani Bay Premium Bangus products arrived at our doorsteps. I was at the hospital then because Brianna was confined at the hospital due to Pneumonia so I wasn't able to personally receive the parcel. 5 days after, Brianna was discharged from the hospital then I got sick too and I swear Sarangani Bay was my life saver in the kitchen. We were running low on stock then but don't have time to go to the market. 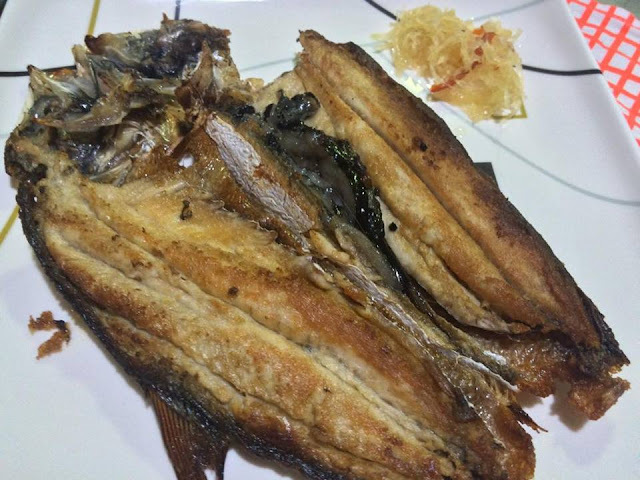 I also don't have the energy to cook good thing we have Marinated Sarangani Bay bangus, no need to season it anymore just a little frying plus steam rice we already have a decent meal. While I was still at the hospital, Jaear cooked this one for his dinner with Tristan and Athena. 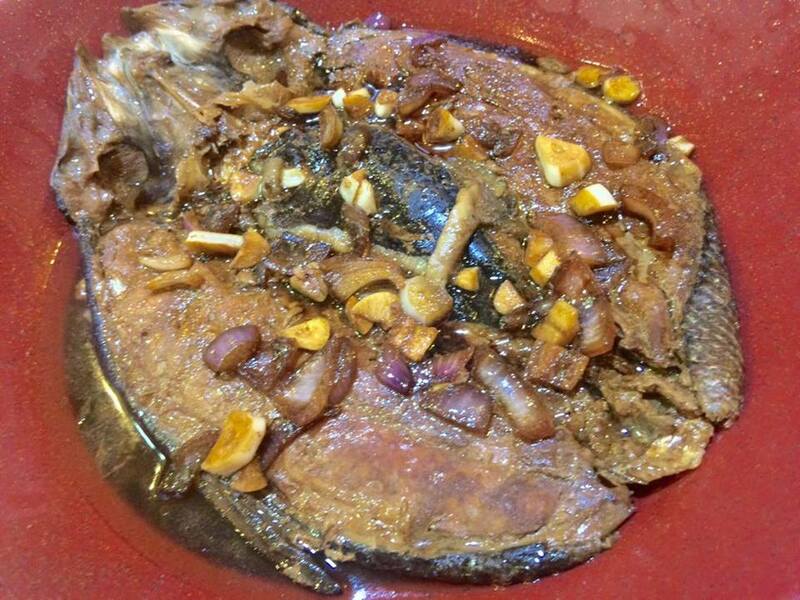 When I got home, I cooked this Marinated Baby Milkfish. It's marinated to goodness up to the bones, yes it has bones but since the bangus are small the bones are soft you can eat it if you want but watch out for the other sharp bones. The Marinated baby milkfish is also available in spicy variant and it's perfect pair with Ginisang munggo. Yum! For me the spiciness is just mild and I believe older kids can tolerate it. 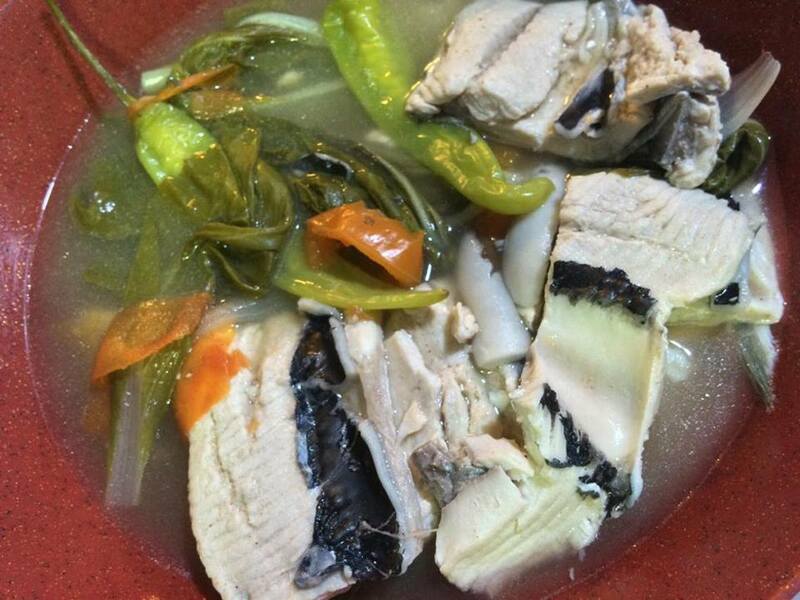 It was a gloomy day so I cooked Sinigang na Boneless Bangus Belly or Boneless Bangus Belly in sour broth. The bangus belly is so delicious! It's so easy to prepare and it tastes good. You can whip this up in 5 easy steps. Smoked Boneless Milkfish or also called as Tinapa is their certified best-seller – perfectly smoked and salted, yet soft and juicy in texture. It’s cooked twice for maximum flavor impact. After proper thawing, just heat and serve! It's been a while since I ate tinapa, I guess the last one was still in college. 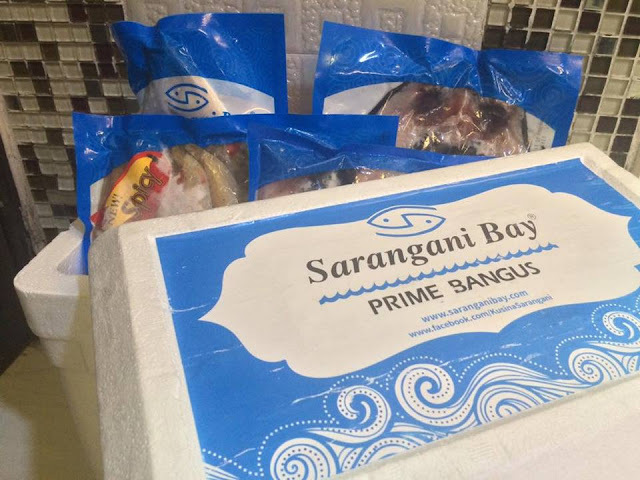 We love Sarangani Bay Premium Bangus, and I highly recommend it. 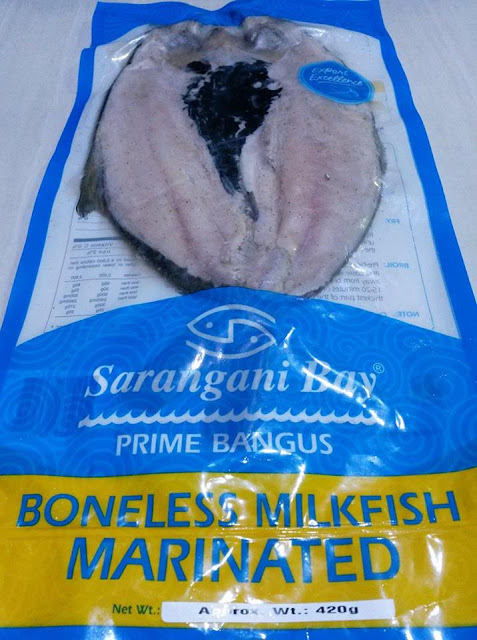 Boneless Bangus are available in markets but with Sarangani Bay you have wide varieties of excellent quality frozen products to choose from. 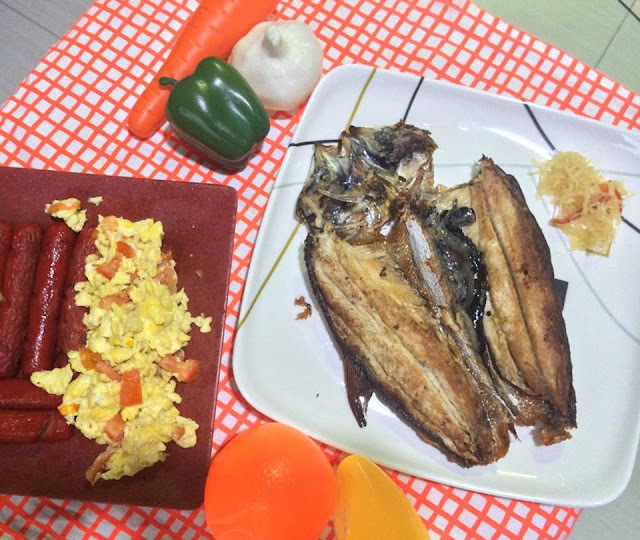 One of their must try-products are the interesting yet delicious bangus sisig, boneless tocino, and boneless tapa. You can also check their website for quick and easy recipes. 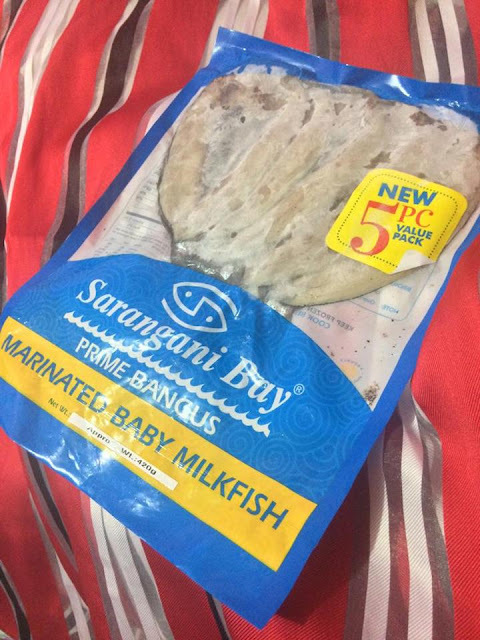 To know more about Sarangani Bay and how to order, visit www.saranganibay.com.ph. Nowadays, cosmetics and beauty products are selling like hotcakes and that is because more and more people are getting conscious with the way they look. 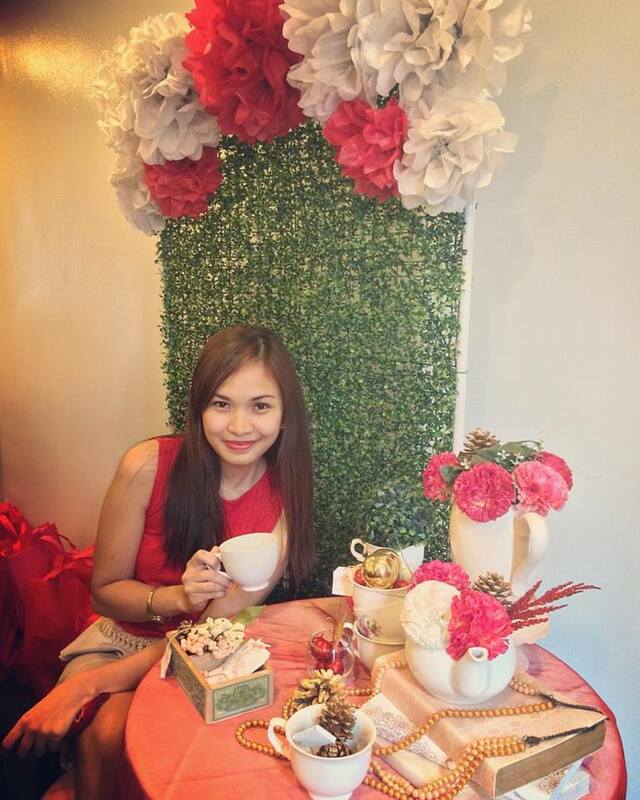 People are open with the enhancement of their physical features like their complexion and body figure. While others might be against it, I personally think that here's nothing wrong with it. If doing so makes you feel good about yourself then we should go for it and don't let anyone dictate otherwise, right? Feeling beautiful and good about yourself attracts positive vibes! I'm actually surprised to find out that there's a wide range of beauty products both from local and international brands, most I haven't personally tried. And, beauty enthusiasts need not to search far and wide for beauty products because aside from malls and drugstores beauty products can be bought online. 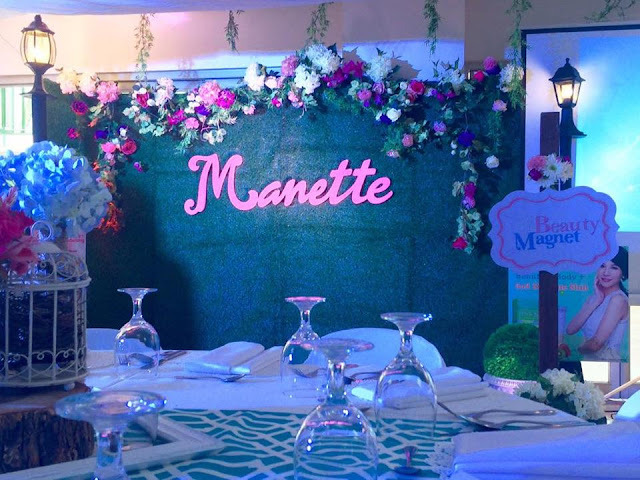 Speaking of online shop, last month I attended the 9th anniversary of Beauty Magnet Store, it was also a celebration of the owner, Ms. Manette Calupitan's birthday. 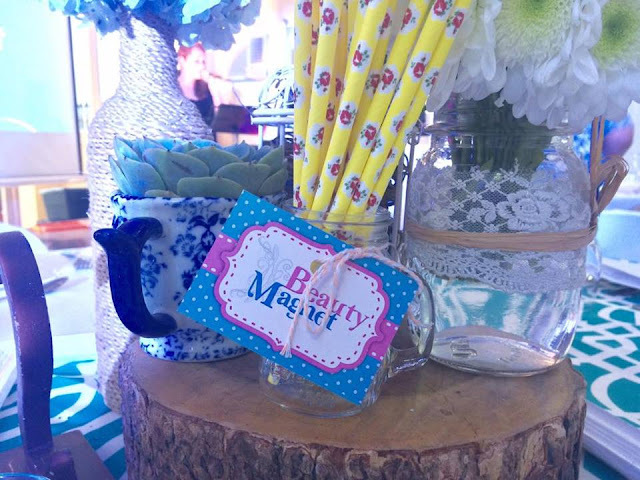 Beauty Magnet Store is a registered company with the Department of Trade and Industry in the Philippines. The company started operations on 2007 and has built a reputation as an online international seller of authentic and quality health and beauty products. 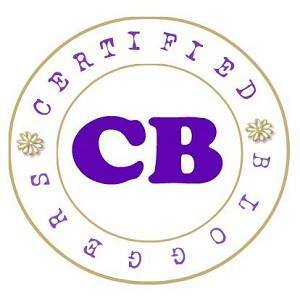 They take pride with their QUALITY and AUTHENTIC product ranges. All their products are carefully researched before they are put in display to the store to ensure that they bring nothing less for their customers. For this, they also provide money back guarantee on authenticity of their items. I believe they wont last for 9 long years if they are not legit right? Fifty percent (50%) of their customers are from the United States while the next fifty percent (50%) are from Canada, Australia, United Kingdom, Philippines, The Middle East and other countries. Here in the Philippines they have been issued a License To Operate (LTO) as Food Distributor/Wholesaler (covering health/food supplements) by the FDA. 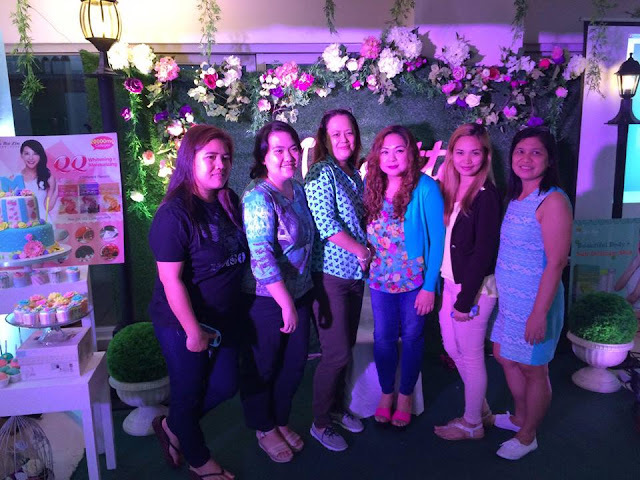 Beauty Magnet aims to expand into distribution of quality health and beauty products both in the Philippines and abroad. Here are some of the items that beauty junkees should watch out for. 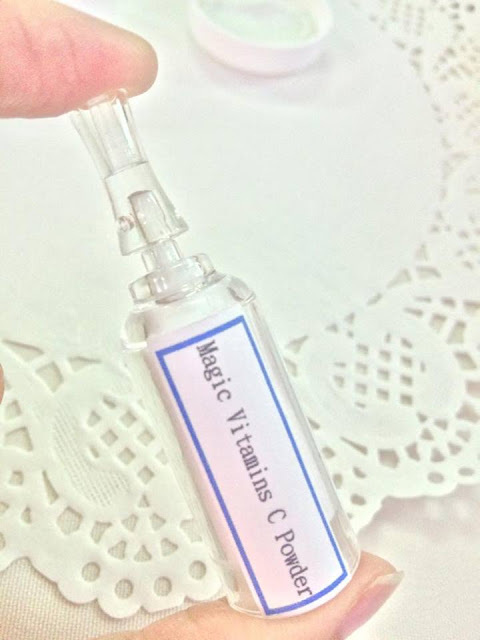 We all know by now that Collagen is essential to the health and appearance of our skin. It is an important building block for elasticity, and its ability to reduce the appearance of fine lines and wrinkles. 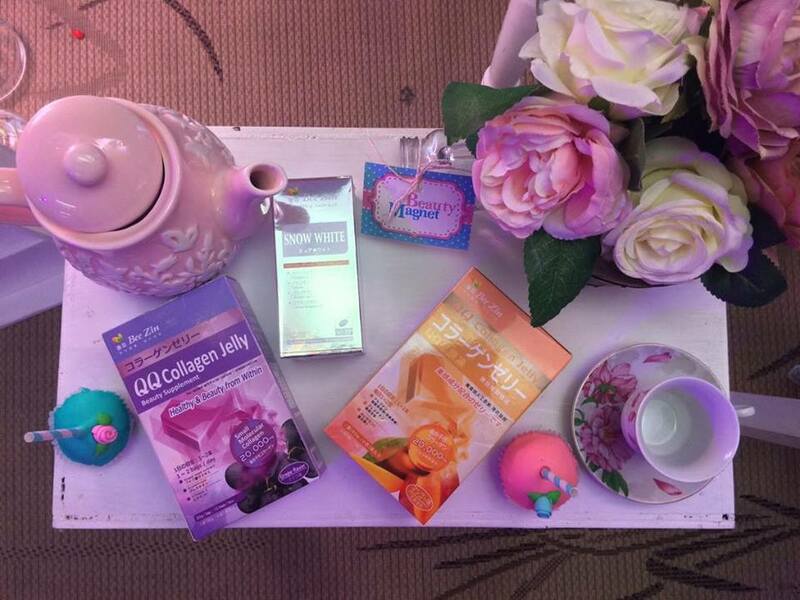 Collagen supplements comes in many forms, capsule, tablets, powdered and now in jelly form! 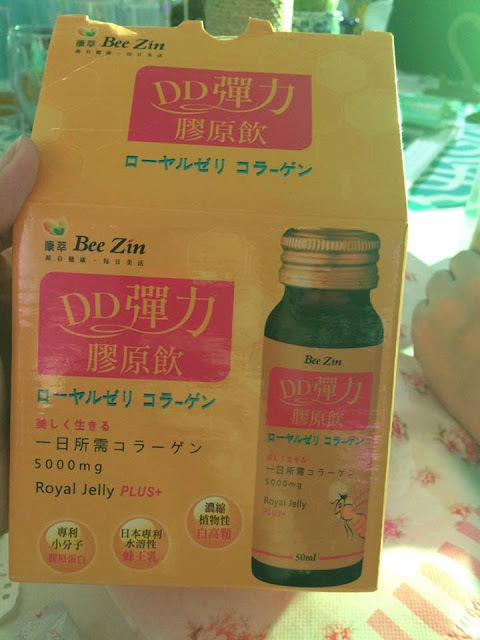 For me this jelly form is the most convenient and delicious way to take collagen supplement daily. QQ Collagen Jelly comes in different flavors, peach, grape, orange and kiwi. I got to taste one during the event and yum, it's so delicious I think I can finish 1 box in just one sitting. Haha! This whitening tablet is a combination of the latest and most powerful skin whitening ingredients-- PYCOGENOL®, GLUTATHIONE AND ARBUTIN. Pycnogenol ® = Grape seed x 10 times, Vitamin E x 40 times, Vitamin C x 350 times, Lipoic acid x 1000 times. This is also a whitening product and will provide you with a spotless white beauty. I got to try this too during the event and I was impressed with just one try. It instantly lighten the back of my hands where I applied it. This is not just for the face but also on dark underarms and other dark spots on the body. This supplement is also anti aging and can make the breast firm. These are just some of the latest products that will soon be available in Beauty Magnet Store. Most of the products will undergo repackaging and will be in English language for Filipino consumers. Aside from the products I mentioned above, there will be more surprises for everyone. "Beauty Magnet believes in the power of attraction or magnetism and everyone can exude this characteristic with a little boost of self-confidence through beauty." So if you have any physical feature that you're not really confident with or something that you'd like to enhance now you can definitely do it just don't be afraid to explore. But of course on top of that you must also bear in mind the quality and authenticity of the products and Beauty Magnet Store is definitely worth checking. 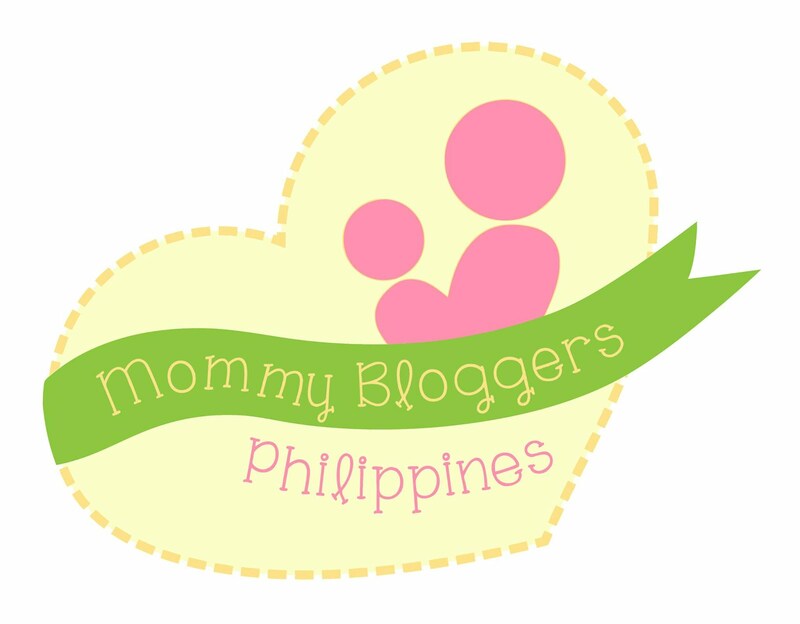 Watch out for the launch of their latest products! Prevention is better than cure, we always hear this but honestly, maintaining a healthy lifestyle becomes a luxury for some people because of the high cost of living and health maintenance such as healthy food and supplements. Sickness then becomes inevitable which makes people shell out more money for medical consultation and medicines to cure their sickness. Unfortunately some don't seek medical attention anymore because of the high cost of medicines. Good thing nowadays people have the option to buy generics medicine which is more affordable yet equally effective compared to branded ones. Generika Drugstore is one of the Drugstores that provide generics medicine. Generika is driven by an enduring social purpose: To help create a nation where every family can afford their basic healthcare needs. It is a mission that began thirteen years ago, when they were among the pioneers in the Philippines’ generics industry. Today, they have over 630 stores nationwide that continue to provide Filipinos with safe, high-quality, and affordable generic medicines. Now that Generika is part of Ayala Healthcare Holdings Inc., they have the bolstered capacity to provide even better healthcare services to the Filipino people. And last month I received an invite to Generika's event, I was excited to find out their latest offering to the Filipino families. However I wasn't able to attend because my daughter who got sick with Pneumonia was just discharged from the hospital. Although I didn't get to attend they still shared with me the good news wherein every Filipinos will surely benefit from. Generika Drugstore unveiled their Gabay Generika, it is their beating heart. It is the philosophy behind every single thing that the company does. It is embodied by the passion of their pharmacists who only seek to guide and assist their customers. Their pharmacists do not just dispense drugs, they provide customers with expert advice. At its core, Gabay Generika is a new line of value-adding PLUS services that include free blood pressure monitoring, affordable mobile laboratory offerings, and blood sugar testing. But the most important aspect of Gabay Generika is the Gamot Guide – a printed reminder for customers to help them understand how to better take their medicine. Combined with free patient consultations, customers will be equipped with all the information they need to safely and effectively use their medications. This passion for patient well-being is best exemplified by Generika’s own Actimed brand. This line of generic medications is of the highest quality and is sourced only from reputable manufacturers here and abroad. With all their drugs passing Current Good Manufacturing Practice (CGMP) standards, the generics they offer are guaranteed to be safe and as effective as their branded counterparts. Moving forward, Actimed will soon include wellness and nutraceutical products such as probiotics and health supplements all at a price point more affordable that what is currently available in the market. 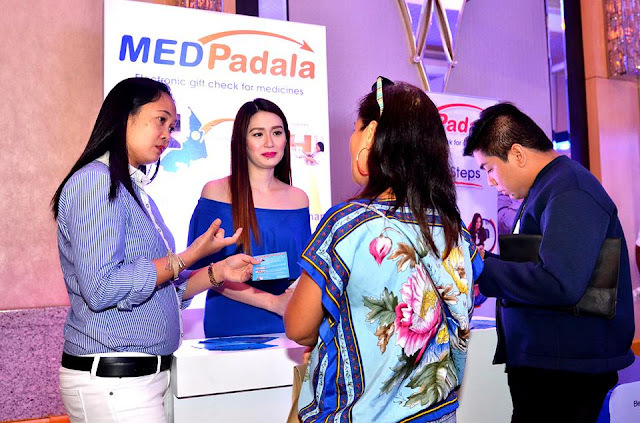 Generika’s advocacies for better healthcare extends with MEDPadala, an innovative digital service that can help Filipinos from across the globe provide for their family’s healthcare needs. Through a web platform, gift certificates can be purchased and sent via SMS or email. This is especially helpful for Overseas Filipino Workers who want to ensure that their relatives have ample budget for medicine. The gift certificates are also available in every Generika outlet, and via partners such as LBC, Ventaja PayRemit, PayVenue, Ayannah, Beam and Go, and many more. 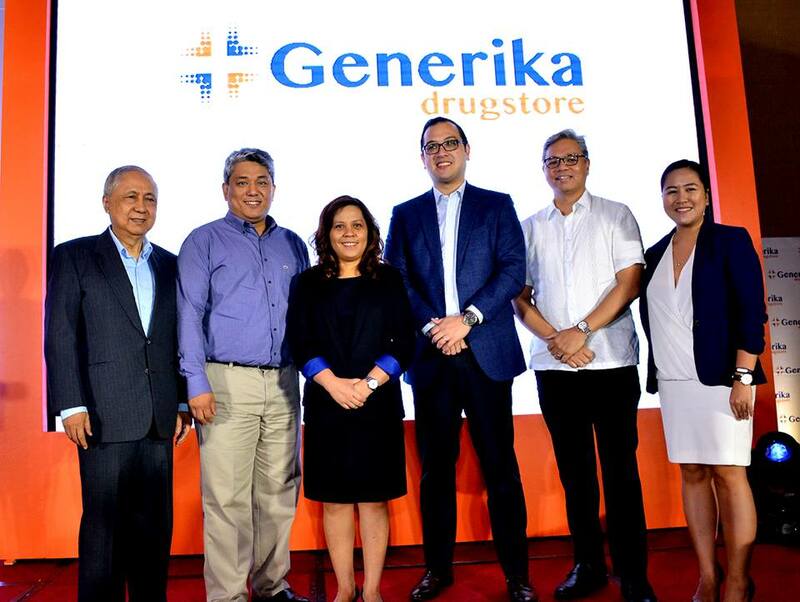 In the next four to five years, Generika Drugstore aims to have over 1,000 outlets in the country. With Gabay Generika serving as a strong anchor for better public service, MEDPadala as a means to improve access to medication, and Actimed as an expanding line of quality generics, more Filipinos can now improve their overall well-being. On the 31st of August 2016 at Fairmont Makati, Generika showcased to the media these value-adding PLUS services while highlighting how they can uplift Filipino lives. It was attended by Generika and Ayala Executives who presented their vision for Generika, focusing on its continued advocacy for accessible healthcare products and services. To know more about Medpadala, simply visit http://medpadala.com.ph/. For more information about Generika Drugstore and Gabay Generika, you may go to http://www.generika.com.ph/.